The Tennessean reports here that the interracial and cross-cultural exchange effort called the Davidson Group is back on, after being founded in 1981, subsequently floundering, and being revived only briefly in 2003 (story here). The Davidson Group, which started in 1981 to pair up black and white Nashville community leaders who didn't know each other, is reorganizing to do the same work in what has become an even more diverse city. It will restart soon with administrative support from Lipscomb University's Institute for Law, Justice & Society. U.S. Census statistics from July 2007 show whites make up almost 61 percent of the [Nashville] population, down from 65.5 percent in 2000; while African-Americans make up 27 percent of the population and Latinos make up 7.5 percent. Earlier this summer, the Metro Human Relations Commission, which had administered the program, decided to turn it back over to the Nashville's Agenda steering committee, which found a new partner at Lipscomb. Photo by Kate Andrews. Licensed under Creative Commons. Is Mexican caricature the Bible Belt's new insult? Less than one month after the Hispanic Nashville Notebook called for evangelicals to get it right on Hispanics and immigration (see here), Bob DeMoss and Mark Whitlock, two well-known Christian writers from the Nashville suburb of Franklin, Tennessee, are selling a product they call "Obama Waffles," in which Barack Obama appears in caricature in a Mexican sombrero, and references are made in jest to multiculturalism, foreign languages, and "illegal aliens." Also this month, advocates of the proposed English Only foreign language ban superimposed the faces of their perceived political enemies onto a poster of the movie The Three Amigos, in which the characters are wearing Mexican mariachi uniforms (story on the Nashville Scene blog here). Put another way, you don't use in a political barb the imagery of Mexicans and/or immigrants (even unvisaed immigrants), when mere association with them is the joke, if you are a Christian hell-bent on loving your neighbor as yourself. The negativity of it is wrong, and good conservatives have both warned against this kind of tone in the past (see Leslie Sanchez quotes here) and also asked for forgiveness for it in Nashville's LP Field (see Sam Brownback quote here). "We strongly condemn the tone and content of materials that were exhibited by one of the vendors at this weekend's Values Voter Summit. The materials represent an attempt at parody that crosses the line into coarseness and bias." "The exhibitor contacted our reviewer just days before the Summit by email and described material that sounded like it was devoted to political flip-flops on policy issues. When the content of the materials was brought to the attention of FRC Action senior officials today, they were removed and the exhibit was dismantled by the vendor at our insistence. It is our responsibility to fully vet materials that are offered at any event we cosponsor, but we are deeply dismayed that this vendor violated the spirit, message and tone of our event in such an offensive manner." "The Values Voter Summit represents a coming together of many long-established organizations that work across denominational and ethnic lines to celebrate and promote the family and a culture of life. We reject any communications that divide and distract us and frustrate these principles. Bishop Harry Jackson's High Impact Leadership Coalition, Gary Bauer's American Values, and Alliance Defense Fund join us in rejecting this material." "Positions on the, the border... We're havin' th-, him, erase the line between the U.S. and Mex-"
"Lou Dobbs: 'My Wife Will Love This!'" Wed. 09/24/08, 11:59pm CT. The national soccer team of Chile defeated Mexico by a single goal scored on the second half of the match, 18 minutes before the end of the game. Telemundo Nashville viewers were able to watch the live broadcast via digital transmission on channel 4.2 and via commercial cable (Comcast, channels 89.2, 246 or 611; Charter, channel 24). The political ads are in Spanish because the voter is more comfortable in communicating in Spanish, not that he or she cannot speak English. Chavez goes on to say that O'Reilly's discussion of Hispanic voters should have included a Hispanic panelist. An interesting discussion about the linguistic diversity of the Hispanic population is this one, by the Wharton School at the University of Pennsylvania. Photo by David Goehring. Licensed under Creative Commons. [Austin] Ray, meanwhile, is opening a bar called The Melrose on Franklin Pike and developing a resort in Nicaragua with his father Norm Ray, formerly an industrial real estate broker in Nashville with Colliers Turley Martin Tucker. "Immense contributions of Spanish-speaking individuals to Nashville's community, culture and economy"
Nashville's premier Spanish language TV station, Telefutura 42, is proud to recognize Hispanic Heritage Month 2008. "Hispanic Heritage Month activities around town for the next few weeks remind us of the immense contributions of Spanish-speaking individuals to Nashville's community, culture and economy. Telefutura 42 will keep our viewers informed of Nashville's Hispanic Heritage Month activities through our daily news briefs, produced in partnership with NewsChannel 5." Hispanic Heritage Month dates back forty years to 1968 when it was initiated as National Hispanic Heritage Week to recognize the economic, cultural, and social contributions of Latinos in America. This was expanded in 1988 to include the 4 weeks between September 15 and October 15. Those dates were chosen because several countries celebrate their independence duringmthis time period: Costa Rica, El Salvador, Guatemala, Honduras and Nicaragua on September 15; Mexico on September 16 and Chile on September 18. The period also covers October 12 - Día de la Raza - a holiday celebrated throughout Latin America to observe the multicultural heritage of the Americas. President Bush proclaimed September 15 to October 15 as National Hispanic Heritage Month. President Bush said "Hispanic Americans have strengthened our country and contributed to the spirit of America. National Hispanic Heritage Month is an opportunity to honor these contributions and celebrate the rich cultural traditions of our Hispanic-American community." Telefutura 42 first began broadcasting in February 2004 and is the only Spanish language TV station in Nashville with local news. Telefutura 42 features first-class family entertainment programming that includes original Latin American talk shows, news briefs, variety shows, soap operas, movies, sports, and local programming. For more information about programming visit www.solonashville.net. "The awesome honor and responsibility of being Hispanic Americans"
The Tennessee Republican Party joins President Bush in marking the beginning of National Hispanic Heritage Month today. National Hispanic Heritage Month, Sept. 15 through October 15, is an opportunity to celebrate the spirit and accomplishments of Hispanic Americans everywhere. In a Presidential proclamation, President Bush declared the month to be in honor of the many Americans of Hispanic descent who have made outstanding contributions to the United States of America. The President’s proclamation also honored Hispanic Americans for their strong tradition of service in the Armed Forces in every war since the nation’s founding. “From the classroom to the workplace we are there. From our place of worship, to the battlefield we are there. And we are there proudly. Proudly because we now live in the greatest country in the world,” said Lopez. “We live in a country where we celebrate diversity without compromising unity. We live in a country where together we celebrate Freedom, Liberty and the pursuit of happiness. “This month we Hispanics are highlighted but forever we Hispanics highlight the awesome honor and responsibility of being Hispanic Americans,” Lopez said. 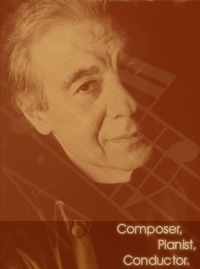 Raul López was born in Havana, Cuba in 1962. At age 5, his family escaped Communism for a new life in the US. In 1995 he started CrossTown Courier, Inc. with two partners; later selling the company to pursue other interests. Very active in the Latino community, Raul has served and Chaired many boards and has always been very involved in politics; starting two PACs and serving on the Board of another. He was an alternate delegate for Bush’s 2004 campaign and served as Minority Communications Director for the Tennessee GOP. Raul currently serves in two Hispanic Chambers of Commerce, his local church, and various conservative causes. He also helped found and host 2 Hispanic TV programs: Que Pasa Nashville and Spanish TV; both dedicated to the opportunities and challenges facing the Hispanic community in Middle Tennessee. Raul now brings his talents and ideas to Chair the RNHA of TN. Raul lives in Nashville with his wife and six children (2 of which are adopted from Colombia). He works fulltime at a Men’s Prison Ministry and owns a very successful Real Estate Company, Rocket Realty USA. Clarksville's large Latin population has a festival all its own. 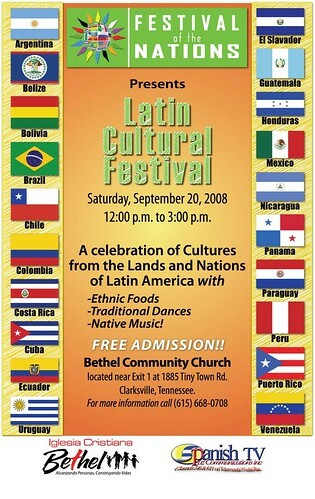 Festival of the Nations presents Latin Cultural Festival '08, noon-3 p.m. Saturday outside Bethel Community Church and Iglesia Cristiana, 1885 Tiny Town Road. "We're inviting all our American friends," said Fikri Youssef, pastor for the two churches. "The idea is for the American community to meet the Latino community, have fun with them and mingle. We want to give our American friends a taste of Latino culture." "The purpose of Festival of the Nations is to coordinate international community events that develop relationships with all nations," said a message about the festival from Jonathan G. Camcam, executive director of Festival of the Nations. "Our mission is to encourage unity, educate and to develop a better understanding of global community, history, culture, while preserving heritage and spiritual well being." The Nashville Area Hispanic Chamber of Commerce will once again this year celebrate National Hispanic Heritage Month. First instituted in 1968 by the US Congress, President Lyndon B. Johnson proclaimed a week in September to be recognized as National Hispanic Heritage Week. The observance was expanded in 1988 to a month long celebration (Sept. 15-Oct. 15). To kick off the month long festivity the NAHCC will host a reception at business member Coco Loco Restaurant (4600 Nolensville Pike Nashville, TN 37211) on Monday September 15th the official day in which Hispanic Heritage Month begins. Public forums, festivals, lectures, art receptions, training and businesses breakout sessions are part of the NAHCC's month long Hispanic Heritage Month program. Recent Census data released for Hispanic Heritage Month indicates that the population of Hispanics in the US has reached over 45.5 million. The number of Hispanic-owned businesses in 2002, grew up to 1.6 million that equals to 31 percent more from 1997. Their receipts were $226.5 billion, up 22 percent from 1997. A total of 199,725 such firms had paid employees, with receipts of $184 billion, or about $921,090 per firm. (*)NAHCC's Hispanic Heritage Month Kick Off Celebration at Coco Loco Restaurant is FREE and open to all interested in attending. 11:00 AM – 1 PM Panel Discussion - The Business About Being a Good Neighbor: How to better contribute to the growth and development of our city. If you missed them at Bonnaroo '08 catch Grupo Fantasma, the finest, funkiest, and hardest working Latin American orchestra when they bring their trademark sound to Music City with cumbia, salsa, and pyschedelia. Artists Jorge Yances Arrieta, Orlando Camacho and Jairo Prado in attendance. The United States Hispanic Chamber of Commerce (USHCC) will be conducting its 29th Annual National Convention & Business Expo September 24-27, 2008 in Sacramento, CA. Over the span of four days, the USHCC will be host to the largest gathering of Hispanic business owners in the nation, offering a variety of workshops, chamber training and business sessions focused on: building business relationships; and, creating procurement opportunities for participants from all industries. The four-day event will be held at the Sacramento Convention Center. NAHCC President Yuri Cunza will be a guest speaker on the “Effective Advocacy and Grassroot Activism for Your Local Chamber” panel during the convention's National Leadership & Chamber Excellence Training Institute on September 26th. Description: The Internet for Small Business will present tools for working on-line. Panelist will discuss strategies for how the Internet can be use to successfully advertise a small businesses and earn an income at almost no cost. Description: Whether you have a start-up business or need to expand your current company, this session will help connect you with alternative sources of capital for your business. Join some of the most representative examples of Latina experts as they discuss the benefits of joint ventures, strategic partnerships and more. It’s all free and open to everyone. Bring a blanket and chairs, and spend the whole day! (**)Schedule as of September 24th, 2008 . Schedule subject to change. The Marketing Committee of the Tennessee Hispanic Chamber of Commerce* announced the date for its next members and guests luncheon: October 16th at 11:15 AM @ The Bound'ry. Friday, September 19 at 7:30 pm Great Performances at Vanderbilt brings Grupo Fantasma to Vanderbilt University’s newly renovatedLangford Auditorium! The finest, funkiest, and hardest working Latin-American orchestra brings their groove to Music City with cumbia, salsa, and pyschedelia. Grupo Fantasma’s trademark sound of 10 musicians has translated comprehensively on their new album Sonidos Gold – in an incredible and animated performance interwoven with mature and intelligent songwriting that is equally at home with the classic 1960’s Fania All-Stars sound. 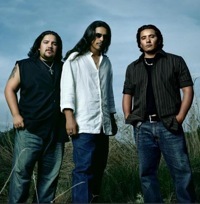 This band is forging a fresh new standard of excellence in Latin music. The band’s guitarist Adrian Quesada claims the newest album, Sonidos Gold, as “the definitive Grupo Fantasma album.” The organic, live sound of the band will have the audience instantly fall in love with this timeless classic. Tickets for the performance on Friday, September 19 at 7:30 p.m. are on sale at the Sarratt Box Office, all Ticketmaster locations, Ticketmaster telecharge at 615.255.9600, or online at www.ticketmaster.com. Single ticket prices are $36, $32, and $28 for individuals, $16 for VU Faculty/Staff, area students always $10 for Great Performances for students/children with a valid ID, and $5 for VU students. 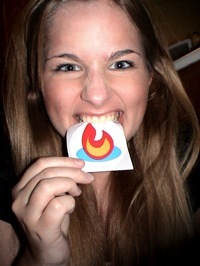 See the Tennessean's profile here. 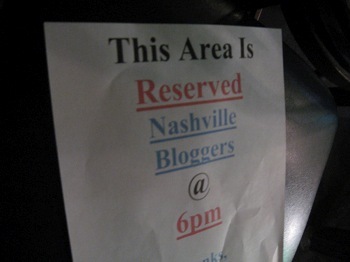 The Nashville City Paper has the story here. When: Saturday, September 6th, 2008 from 12:00 p.m. to 7:00 p.m.
Why: Latino voters across the United States are expected to be a key constituency in the upcoming elections. Over nine million Latinos voted in 2004, and up to ten million are expected this year. With education and healthcare as two of the populations most pressing concerns, the Latino vote will impact the election results in November. 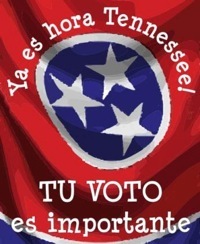 Ya Es Hora Tennessee! launched its voter education campaign earlier in the summer with the goal to actively educate people about the importance of voting, when and where to vote, and how the process works. Nashville's city leaders published "Agenda" on immigration in 2007: status report, anyone? Identify ways to encourage understanding of immigration issues – including the problems associated with illegal immigrants – in a broader context of valuing cultural diversity and encouraging appreciation for new Nashvillians. * Create more positive image of immigration in the city. Encourage corporate and political leaders to educate city on value of diversity and immigration. Find ways to increase cultural awareness in Nashville through more city-wide celebrations like the Celebration of Cultures festival. Educate public about differences between immigrants and illegal immigrants with a focus on the total immigrant population. * Expand diversity training to identify cultural differences provided in the workplace, school, religious institution and govt. * Encourage local corporations to “adopt” at-risk or immigrant neighborhoods for civic training and job placement. * Provide a database and services that are multi-lingual to address specific newcomer needs. * Convene a group of policy-makers to develop a special driver’s license for undocumented immigrants that, at a minimum, allows them to drive to and from work. * Hold “civics” classes at schools and libraries for new Nashvillians on local laws, government processes and services available. * Create a leadership academy which partners immigrant leaders with native Nashvillians to expand partnerships and create stronger leaders. Photo by Exothermic Photography. Licensed under Creative Commons. 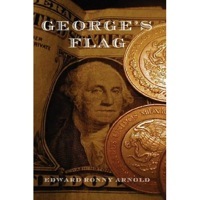 Nashville author Edward Ronny Arnold has self-published George's Flag, a fictional novel about a Hispanic political uprising that is decades in the making, culminating in the year 2040 with the election of the first Hispanic president of the United States. What I found in George's Flag, however, was a first draft instead of a finished product. As may be a hazard inherent to self-publishing, this work of fiction needs improvement in plot and character development, subject matter research, spelling and grammar. Despite the accolades of the Southern Festival of Books and the City Paper, I don't think the 548 pages of this book are ready for prime time. The problem isn't so much that the plot is wildly nonsensical, which it is - from the central idea that six children would launch and sustain a 40-year presidential campaign, to the surprise transformation of a central character from a mild-mannered young woman into an Israeli-trained killing machine - with many similar twists and turns in between. There are just too many rough edges in the book to sustain any suspension of disbelief. For starters, the characters do and say unnatural things - a drinking game could be based solely on the frequency of the various characters' fits of laughing for no apparent reason. The Catholic characters repeatedly confuse the Bible with Ben Franklin in the same grammatically awkward way ("God helps those that help themselves.”) Many of the diverse members of the book's cast make bold pronouncements about the future ("They will fail!") Some people may talk like that in real life (an apparent example is here), but I don't think it's as much of the population that George's Flag would have us believe. The spelling errors are also too numerous for a final published work. References are made to “Chicago, Illinois Mayor Richard Daily” (his name is “Daley”), an immigration proposal to “wave” instead of waive fees, measurements made with a “gage” and not a gauge, students from “Berkley” as opposed to Berkeley, a “mute” and not a moot point, “loosing” as opposed to losing, and the government being not liable but “libel” for its abuses. 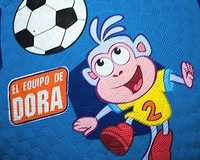 This lack of experience explains Arnold's rookie mistake of translating portions of the dialogue into Spanish using only computer translation software. The easier and better alternative, if native speakers were not available to assist with translation, would be to eliminate the Spanish text altogether, and indicate through italics or some other device that Spanish was being spoken. Letting a computer mangle the language, and leaving the subject matter of the book largely unresearched, has the effect of making George's Flag unreadable from the point of view of a Hispanic or Spanish-speaking audience. I have observed for many years the kindness, gentleness and strength of the Hispanic men and women as they shop at Kroger. There is an old saying; you can tell a "real" man easily, he is the one holding the baby. He is so strong he can be gentle. I see many Hispanic men holding babies. I have observed the interaction of the families and it is one of respect. My wife is from the Philippines and there are similarities. I have often watched Hispanic men work, they work their butts off. Also, I have been to Mexico and been to the poor areas on three occasions. My friend, [name deleted], also has been to Mexico many times. He tells so many wonderful stories of the people. The inspiration for the book came from observing a large group of Hispanic men, women and children at my daughter's closing ceremonies for Pre-K at Fall-Hamilton Elementary school in 2006. They proudly recited the Pledge of Allegiance and clapped loudly for "every" child that received a certificate. It occurred to me that there is a new generation of Americans. These Hispanics have not abandoned their language and culture but embraced America and its ideals. The reader gets no indication that this kind of vocabulary or dialogue is uncommon in the fictional America of George’s Flag. For instance, the "taco stains" quote is attributed to a presidential candidate, who suffers no apparent political fallout as a result. We don’t know whether the author thinks the U.S. is already at that level of negativity or, if we are not, how he thinks we will get there. What the book does offer in the way of insight into Hispanic identity comes across as alien to me. For example, there is little mention of the way I understand most Hispanics and Latinos identify themselves, which is by national origin - my friends describe themselves or their families as being from Mexico or Honduras, for example. The characters in George’s Flag, on the other hand, see themselves through Mayan, Aztec, and other such lenses. That may be how some people identify themselves (and it may be useful for a plot point late in the book), but not any of the many Hispanic Nashvillians I know identify themselves that way, from community leaders to former clients to my fellow believers at a local Spanish-speaking church. What this book could use the most are the themes, ideas, movements, strategies, and the kind of people and perspectives that would come with greater familiarity with Hispanic people and Hispanic politics. What about a nod to the differing opinions on immigration within the various Hispanic communities and how they might change as we move toward 2040? There are substantive issues other than immigration that will draw Hispanic voters to the polls between now and then; explore how the political landscape will or will not change as those issues mature. Various existing and interesting statistics about long-time American Hispanic families and new Hispanic immigrants could be extrapolated into the future, as well. The Hispanic Americans whose families have been in the country since long before the 21st century could certainly get more attention in a book supposedly about the future of Hispanic politics in America. 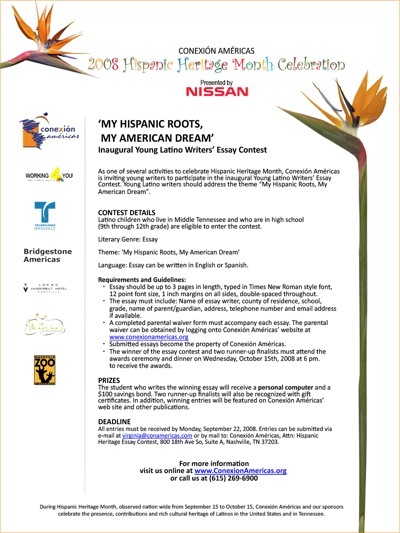 A growing number of Hispanic Nashvillians are readily available for an author to interview on these various topics, and input from them would be invaluable to any future rewrite of this novel (and also to local, state, and national politics, for that matter). Despite my interest in Hispanic themes and politics, and my appreciation for the fact that a local author wrote over 500 pages combining those subjects, George's Flag is not polished, researched, or readable enough to stay on my bookshelf. Like the book's heroine who was born in 2000 and groomed to be president in 2040, the 2008 version just isn't ready yet.